I grew up with Disney films, and thus also with Disney Princesses. So it makes me kinda sad to hear that Disney is – at least for the moment – dropping fairy tale films. 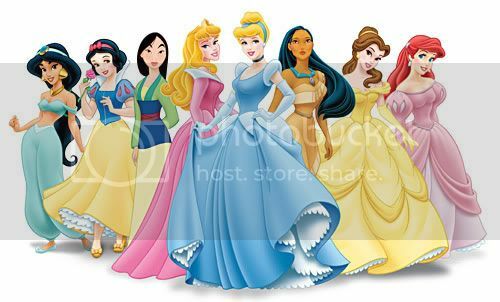 And since a good many of the most popular fairy tales revolve around princesses in one way or another, that’s basically the same thing as dropping princess stories; a point also observed in this article at GeekMom. I know, I know. The Disney Princess is a stereotype, makes little girls think there is nothing more to life than finding a prince charming of their own, goes against the things feminism usually stands for, etc. I feel like I’ve heard all the complaints about the Disney Princess that exist. I’m sure all the people who rant about the problems with the Disney Princesses are delighted that Disney has apparently decided to move from fairy tales to more boy-oriented stories. (Wait, girls can watch boy movies but boys can’t watch girl movies?) But I still like Disney Princesses. They’re not all that bad. Ariel was curious about the world above and even dared strike a deal with the devil in order to get to her prince… which was quite stupid, if you ask me. (I don’t actually like Ariel very much; she’s just the easiest to draw. haha). Belle gave herself up to the Beast to save her father and was instrumental in the Beast’s reformation. Hardly a damsel in distress, that Belle. Except that bit where she ran off in the middle of the night and got herself almost eaten alive by wolves. 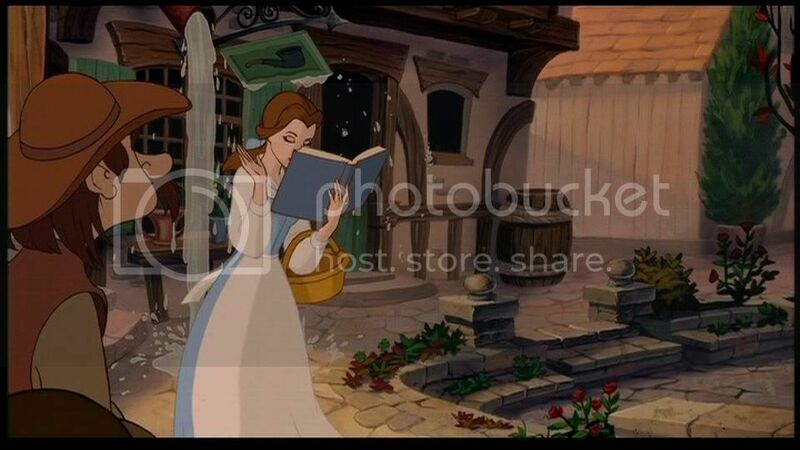 Belle, that bookworm, could read while walking. I can too. 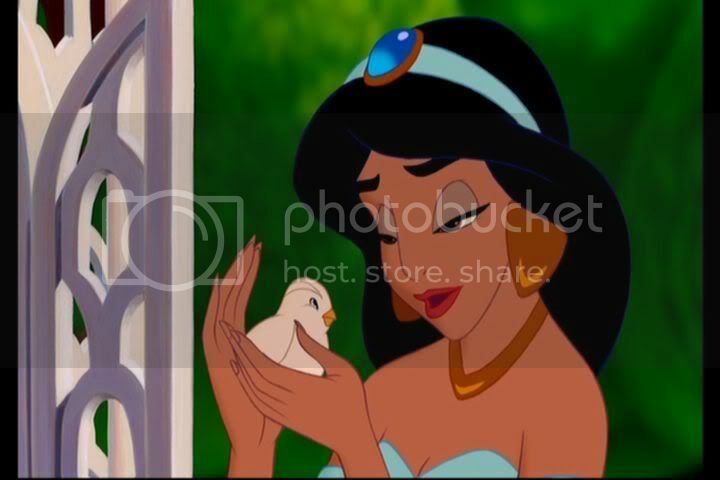 Jasmine didn’t much like being thought of as a mere pretty face and a method of gaining her father’s kingdom, and had the guts to sneak out of the palace to wander the streets of Agrabah by herself (kind of silly actually, but that’s beside the point at the moment). Tiana was as career-minded as a girl could get – working so hard that she didn’t have time to socialise; all because she wanted to achieve her dream (and her father’s dream) of having her own restaurant. Rapunzel was spunky and cheerful, which is remarkable for someone who’s been stuck in a tower all her life without access to the outside world. And she clobbered Flynn Rider with a mere frying pan, before basically blackmailing him into becoming her tour guide. Belle couldn’t have cared less about Gaston, who was actively chasing her, and she didn’t like Beast much at the start. Would you like someone who tried to imprison your beloved father or mother and who forced you to stick around in their place? Jasmine probably preferred her pet tiger, Rajah, to her earlier suitors. She thought “Prince Ali” quite an arrogant show-off at first too. Pocahontas didn’t really want to marry Kocoum, though her dad favoured the match. Mulan flunked How to be a Good Little Wife 101. And Li Shang thought she was a man for most of the film. Tiana had no social life to speak of and besides, Naveen’s kiss turned her into a frog, which is, of course, the best way to get a girl to like you. All Rapunzel cared about was getting out of the tower and seeing the lights; Flynn wasn’t her end goal, he was the means to an end. I suppose at first glance – or first thought? – the Disney Princesses do present a very superficial image. They’re all gorgeous gals with amazing figures, perfect complexions, luxurious hair and aesthetically pleasing facial features. And they all end up with romantic happy endings (except Pocahontas). Maybe these fairy tales do give little girls the delusion that they can’t be happy without being beautiful and without a prince charming. Maybe you could even point to my current state of high cynicism and somewhat bitter feelings about my lack in those departments as an example of the aftereffects of such romantic fantasies. But y’know, for my part, I see it as being triggered by the slew of attachments, engagements and weddings going on all around me and the ever increasing feeling of loneliness as I “lose” both girl friends and guy friends to their significant others. It’s not the Disney Princessess’ fault. After all, prior to 2010, I wasn’t feeling this way. The princess in pop culture has taken on all sorts of unpleasant characteristics: She is vain, materialistic, shallow, and far too focused on catching the attention of Prince Charming, often at horrifying cost to herself. Not to mention the whole helpless-and-needs-to-be-saved thing. "You know, little bird, I get so much pressure from all those people; it's ridiculous. You'd think I was the star instead of Aladdin." So, is the Disney Princess really such a bad thing? It’s definitely over-promoted, but take the whole Disney Princess phenomenon on its own, put the princesses back in the context of their stories. Is it really so bad? Nearly all my girl friends watched a good many Disney films growing up – and some still look forward to Disney films today. These same girl friends are some of the most independent, strong-minded, career-driven women I know. Finding one’s prince charming, having a glittering ballgown, a happy ending – I’m sure most of us still cherish that little fantasy somewhere in some corner of our minds. But it is in no way the centre of our lives. Maybe when we were children, there was far less Disney merchandise (and most of us were not in a position to be splurging on every toy we saw) and less influences from the media compared to today. Or maybe our parents just did exceptionally good jobs at raising all of us. And maybe being around each other helped – the positive sort of peer influences. And maybe we were fortunate enough to grow up in an environment where we weren’t pressured by the media to ‘grow up’ faster than we needed to. Seriously, I find that more dreadful that all the frilly dresses, romantic fantasies and animal sidekicks put together. Little girls who are 5 or 6 wanting to be “hot”? If I was the mother, I’d be a great deal more worried about that sort of outlook on life, especially at such a young age. Does society value “being hot” and “being cool” (lol, paradox?) that much? Whatever happened to a noble heart, good manners and integrity? I think… rather than constantly hacking away at the Disney Princesses and screaming about what poor role models they are, some of the questions people should be asking are: what other role models (in the media) do girls have today apart from the Disney Princesses? And are they really much better? Do girls today have good role models in real life to follow? 2 Snow and Cindy are the title characters and the so-called leads, but really, they don’t do anything much on their own. To their credit, they’re hardworking and sweet and well-mannered. And get along amazingly well with animals. But if it wasn’t for the very colourful supporting casts of both films, there wouldn’t have been much to see. 3 His name is Adam, if you were wondering.